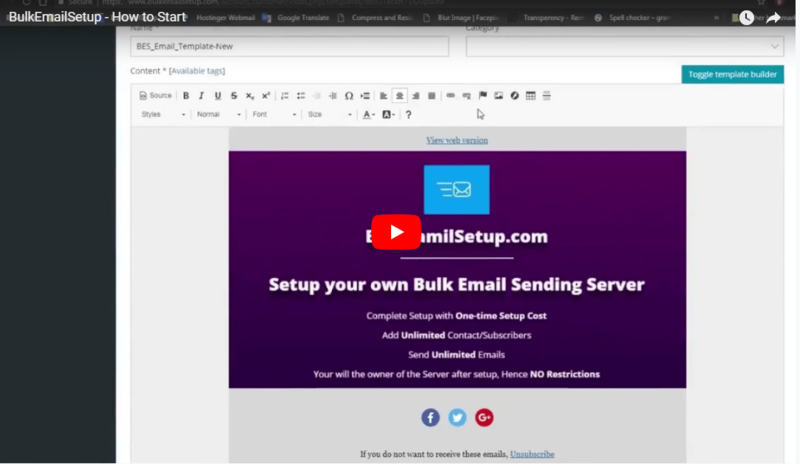 This server setup is self-sufficient for sending bulk emails without re-seller panel for the single user. But if your requirements are as such that you want to share this platform with others, by creating multiple customers account or if you want to add multiple sending domains then this email server setup with the re-seller panel will be the best choice for you. With the help of re-seller panel, you can create multiple customer’s accounts and assign them email credits. You can charge them based on their usage or requirements and become email marketers like MailChimp or Sendgrid. You can create different groups, and assign the limits/restrictions such as 10000 (any number) emails for 1 (any time-frame value) minute/hour/day/month/year, then you can assign these created groups to any particular customer’s account. You can put many restrictions on what a customer can do (not do) with the system. Each created customer can log in to their account and send the emails based on their assigned quota and each customer’s account will be a separate account completely isolated from other customer accounts. As an admin, you can see all the customer accounts but those customers can only see their accounts. You will be the admin of this panel and manager other customer’s accounts. You can multiple sending domains as well as following. You can not only use this setup for yourself, but you will also become an email marketer as well with the help of this re-seller panel. How to Start with Re-seller Panel?